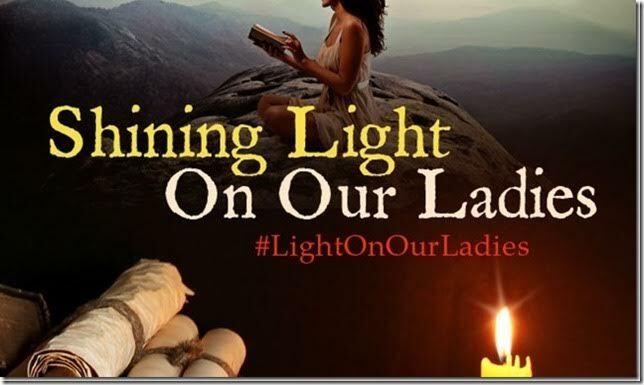 During the month of October (on Tuesdays) nine other authors and I are “Shining a Light on Our Ladies” by taking a closer look at what makes our heroines so special. 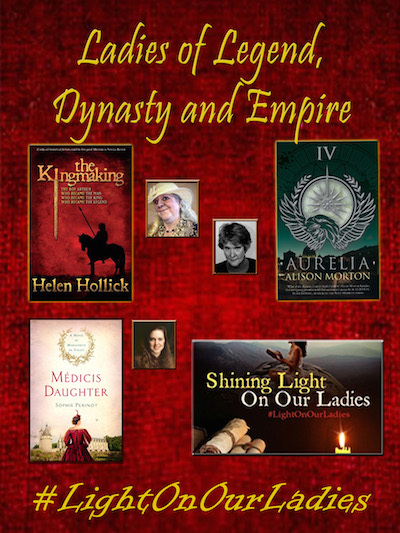 The other authors involved include: Helen Hollick, Alison Morton, Anna Belfrage, Inge H Borg, Linda Collison, Elizabeth Revill, Patricia Bracewell, Sophie Perinot, and Diana Wilder. Specifically, we are looking at what makes heroines in our series such an integral part of the action. With this first post, I wish to highlight some of my favorite female leads from my award-winning REALM series. For those of you who are first timers on “Every Woman Dreams,” the REALM is a covert operation working under the auspices of the Home Office during the Napoleonic Wars. There are seven men in my group, and each book of the series is devoted to one of them (and the lady who brings the gentleman up to snuff). Please note that although the series is about the men of the REALM, the books all sport images of the women the men love. 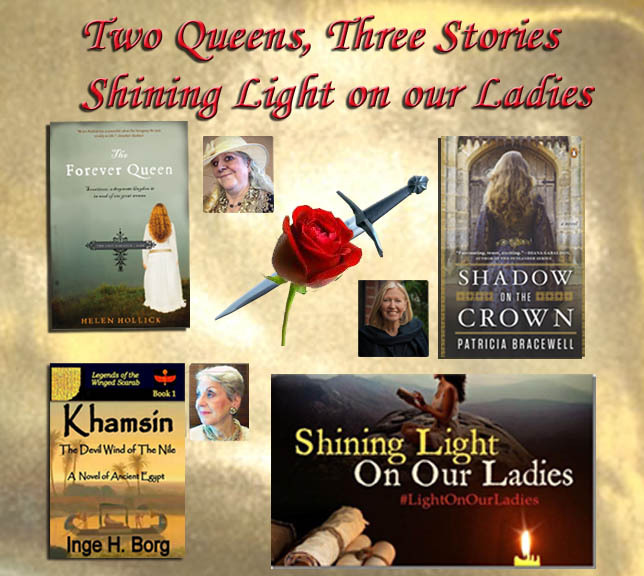 I spoke of the Realm ladies of books 4, 5, 6, and the companion novel on October 6. You may see those comments HERE. Today, I wish to start with A Touch of Scandal, Book 1 (aka The Scandal of Lady Eleanor) and the “stalwart” of the Realm ladies, Lady Eleanor Fowler Kerrington, the Countess of Linworth. Of all the women of this series, Lady Eleanor suffers the most, but she is remarkably resilient. Eleanor’s father, the late Duke of Thornhill, physically abused Eleanor from the ages of fourteen to sixteen. Because Thornhill involved another couple in his “fantasies,” the duke exposed Eleanor to blackmail from Sir Louis Levering. Only with the manipulations of her brother, Brantley Fowler, the Duke of Thornhill, and the man she loves, James Kerrington, Viscount Worthing, is Eleanor saved in a bizarre twist of fate at a party hosted by Prince George. Later, in the series, we see Eleanor in defense of the injured Viscount Levering’s life when she takes on Murhad Jamot, one of Shaheed Mir’s henchmen. Eleanor also serves as the “mother” for the other ladies of the Realm. She is the first to marry, and she assumes the role of leader of the women as her husband did with the men. When her father was ill, suffering from the pox, it was Eleanor who kept the estate running in her brother’s absence. It is Eleanor who arranges each of the weddings of the Realm ladies. But more importantly, it is Eleanor who accepts Kerrington’s ten-year-old son Daniel as if he is her own. Being a stepmother to two sons, long before I was a mother, I infused some of the qualities I exercised and some I wished I knew into Eleanor and Daniel’s relationship. Even when she bears Viscount Worthing other children, she adamantly considers Daniel her son. Eleanor never “talks down” to Daniel; she permits the boy to express his opinions and presents him with value. She encourages Daniel to be his own man – not an imitation of his renown father. Although the other members of the Kerrington family “criticize” Daniel’s later mother, Eleanor acknowledges that the memory of the late Elizabeth Kerrington should be a part of Daniel’s life. JAMES KERRINGTON, the future Earl of Linworth, left his title and infant son behind after the death of his beloved Elizabeth, but he returns to England to ten to his ailing father and to establish his roots. With Daniel as his heir, Kerrington has no need to marry, but when Lady Eleanor Fowler stumbles and falls into his arms, Kerrington’s world is turned upon its head. He will do anything to claim her. LADY ELEANOR FOWLER hides from Society, knowing her father’s notorious reputation for debauchery tainted any hopes she might have of a happy family. And yet, despite her fears, her brother’s closest friend, James Kerrington, Lord Worthing, rekindles her hopes, but when Sir Louis Levering appears with proof of Eleanor’s participation in her father’s wickedness, she is drawn into a world of depravity, and only Kerrington’s love can save her. 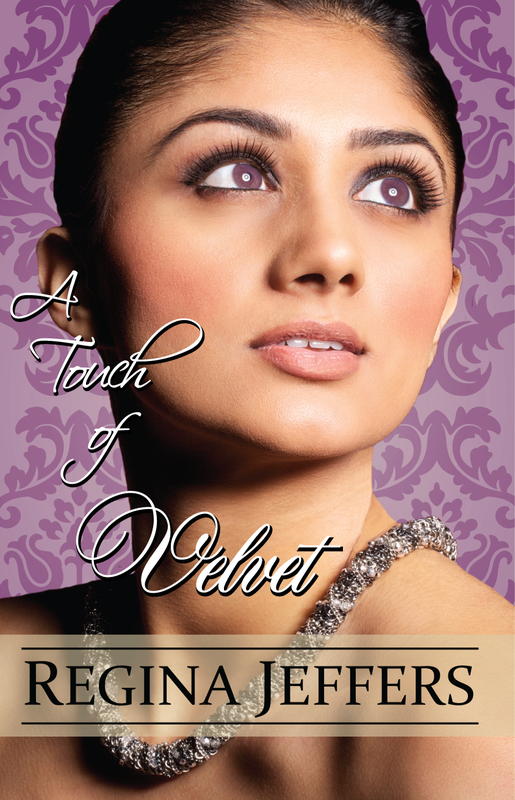 Book 2 of the Realm series features Lady Eleanor’s cousin, Miss Velvet Aldridge, as the heroine. A Touch of Velvet brings childhood “lovers” together. 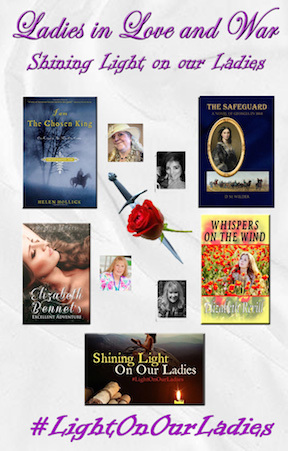 Brantley Fowler, the Duke of Thornhill, has loved Velvet Aldridge since she was twelve. Velvet is a distant cousin of the Fowlers; she came to reside at Thorn Hall when she was but five. The Duchess of Thornhill sent for Velvet to be a companion to her daughter Eleanor. Velvet’s parents are killed in a questionable accident, and the Aldridge sisters are sent to different relatives to reside. I wrote Velvet as a “dreamer” of sorts. She reads “romance” and “wishes” for Brantley Fowler to act the role of her prince. When she learns he chose an Indian wife (who has passed) and has a daughter, Velvet sets out to make Bran jealous of what he left behind. Velvet does act with some courage when Murhad Jamot kidnaps her, but overall I did not permit her to be as strong as some of the other characters in the series. This was a conscious choice (which I could not discuss with others until the end of the series). Although I liked some of the characteristics I presented Velvet, I did not always approve of her methods. Velvet is a dreamer (not an idealist), and as such she expects opposition and misunderstandings, but she believes she be successful. Another of her more likable characteristics, Velvet takes positive steps toward achieving her goals. In Velvet’s defense, Fowler does not display the same maturity as other members of the Realm. The reader will hope that they mature together. “Victim mentality is an acquired (learned) personality trait in which a person tends to regard him or herself as a victim of the negative actions of others, and to think, speak and act as if that were the case — even in the absence of clear evidence. The desire of sympathy is crucial in that the mere experience of a harmful event is not enough for the emergence of the sense of being a victim. In order to have this sense there is the need to perceive the harm as undeserved, unjust and immoral, an act that could not be prevented by the victim. The need to obtain empathy can then emerge.” As the series developed, I presented Velvet with a mild case of this trait, but her sister Satiné is more neurotic. No one finds his soul mate when she is twelve and he is seventeen, but BRANTLEY FOWLER, the Duke of Thornhill, always thought he had found his. The memory of Velvet Aldridge’s face is the only thing that kept him alive all those years he remained estranged from his family. Now, he has returned to Kent to claim his title and the woman he loves, but first he must obliterate the memory of his infamous father, while staving off numerous attacks from Mir’s associates. VELVET ALDRIDGE always believes in “happily ever after.” Yet, when Brantley Fowler returns home, he has a daughter and his wife’s memory to accompany him. He promised Velvet eight years prior that he would return to Thorn Hall to make her his wife, but Thornhill only offers her a Season and a dowry. How can she make him lover her? Make him her “knight in shining armor”? Book 3 of the series is A Touch of Cashémere. Miss Cashémere Aldridge is the youngest of the Aldridge sisters. She is the twin to Satiné. When Velvet was sent to live in the household of the Duke of Thornhill, Satiné was sent to live with the girls’ maternal uncle, Baron Ashton. Unfortunately, Cashémere remains with her father’s younger brother (and heir) and her paternal grandmother. The Aldridges are not easy people with whom to live, and Cashé is expected to follow VERY strict religious teachings. When we first encounter her, Cashémere is opinionated and a bit caustic. Aidan Kimbolt, Viscount Lexford, looks kindly upon her, but it is Marcus Wellston, the Earl of Berwick, whose approval she seeks. Unfortunately, Berwick is besotted with her twin, Satiné. Cashémere takes the situation in hand. As they are identical, she maneuvers Satiné toward Lexford, while she charms Berwick. All looks well until a former Scottish suitor kidnaps Satiné, thinking it was Cashémere, and strikes Lexford a blow that nearly costs the viscount his life. Assuming the responsibility for the ruse going awry, Cashémere sets out to set her twin free and to accept the marriage her uncle/guardian arranged with Lachan Charters. One of the reasons Cashémere knows success is Berwick. Where Lexford permitted her to rant and rave and called it “adorable,” Berwick holds Cashé accountable for her actions. After learning of her Uncle Samuel’s deceptions, she sees the world through a lens of opportunity. Cashé also is quick in making logical decisions. Where others might act irrationally, Cashémere tests herself and finds her own rhythm. One of Cashé’s most endearing qualities is how she treats Wellston’s oldest brother Trevor. Trevor has what we would now call Down’s syndrome, and although he is the oldest, he is not capable of claiming the title. First his brother Myles and then Marcus accepts the title as Trevor’s regent. This is another “modern” issue I included in the plot lines for the series. MARCUS WELLSTON never expected to inherit his father’s title. After all, he is the youngest of three sons. However, his oldest brother Trevor is judged incapable of meeting the title’s responsibilities, and his second brother Myles loses his life in a freak accident; therefore, Marcus returns to Tweed Hall and the earldom. Having departed Northumberland years prior to escape his guilt in his twin sister’s death, Wellston spent the previous six years with the Realm, a covert governmental group, in atonement. Now, all he requires is a biddable wife with a pleasing personality. Neither of those phrases describe Cashémere Aldridge. CASHEMERE ALDRIDGE thought her opinions were absolutes and her world perfectly ordered, but when her eldest sister Velvet is kidnapped, Cashé becomes a part of the intrigue. She quickly discovers nothing she knew before is etched in stone. Leading her through these changes is a man who considers her a “spoiled brat.” A man who prefers her twin Satiné to Cashémere. A man who’s approval she desperately requires: Marcus Wellston, the Earl of Berwick. Toss in an irate Baloch warlord, a missing emerald, a double kidnapping, a blackmail attempt, and an explosion in a glass cone, and the Realm has its hands full. The Regency era has never been hotter, nor more dangerous. The last book I will mention today is A Touch of Honor: Book 7 of the series. As I mentioned above, when I started writing this series, I planned for Miss Satiné Aldridge to play a leading role in book 4. However, I did not care much for the woman I created, and although the fans wished me to bring her back and “tell her story,” I was not convinced. I am one of those who wants a HEA (happily ever after) for my characters, but perhaps not the one the reader anticipated. In book 3, I permitted Baron John Swenton to develop a tendre for Satiné. At the time, I anticipated writing a novella for Swenton and the lady, but throughout the series, I began to wish to know more of Swenton. “Honor” is a word that marks his actions throughout the series, so it became an appropriate title for “his” book. At the beginning of this book, Satiné has gone to Europe to hide the shame of her kidnapping and assumed violation by Lachlan Charters. Swenton has kept tabs on her and makes an unexpected call upon the lady’s household when he must travel to Austria to settle his estranged mother’s will. Swenton’s purpose is to propose to the woman. He has witnessed his friends (Berwick and Thornhill) make happy marriages with Satiné’s sisters and so he “assumes” she will make him an excellent wife. Honorably, he “assumes” his title will protect her from any more rumors. Unfortunately, when Swenton arrives, he learns Satiné has given birth to a son by a man she met upon the Continent. Most men would walk away from her, but the baron says he will marry her and claim the son is his (but because the boy is born before they marry, the child will be his acknowledged by-blow). Satiné is not happy with this outcome, and she manipulates Swenton for many months. However, the baron finds salvation in the woman he hires to be his baroness’s companion. Miss Isolde Neville is the daughter of an Irish baron, who happens to be part of the Elgin expedition. Isolde assists Swenton in understanding Satiné’s nature, and despite their attraction to each other, she encourages John to make the best of his marriage. One of the issues is Satiné’s growing dependence upon laudanum so she might control her weight. Isolde’s loyalty and her caring spirit make her a true heroine. She acts with as much honor as does Swenton in the manner in which they handle Satiné’s depression satisfies the reader (even the ones who wished this to be Satiné’s tale). She walks away from Swenton in order that he can find some happiness in his marriage, but Isolde never forsakes him. The baron is badly bruised by his mother’s desertion and his father’s absolute authority. Only once does he open his heart to a woman, and Satiné walks all over it. It is through Isolde’s thoughtfulness that Swenton is healed. (There is also the matter of bringing an Irish Catholic into a Protestant household…just a bit of history). For two years, BARON JOHN SWENTON thought of little else other than making Miss Satiné Aldridge his wife; so when he discovers her reputation in tatters, Swenton acts honorably: He puts forward a marriage of convenience that will save her from ruination and provide him the one woman he believes will bring joy to his life. However, the moment he utters his proposal, Swenton’s instincts scream he made a mistake: Unfortunately, a man of honor does his best in even the disastrous conditions. SATINE ALDRIDGE fell for a man she can never process and accepted a man she finds only mildly tolerable. What will she do to extricate herself from Baron Swenton’s life and claim the elusive Prince Henri? Needless to say, more than anyone would ever expect. ISOLDE NEVILLE was hired to serve as Satiné Aldridge’s companion, but her loyalty rests purely with the lady’s husband. With regret, she watches the baron struggle against the impossible situation in which Miss Aldridge places him, while her heart desires to claim the man as her own. Yet, Isolde is as honorable as the baron. She means to see him happy, even if that requires her to aid him in his quest to earn Miss Satiné’s affections. GIVEAWAY: LEAVE A COMMENT BELOW TO BE ELIGIBLE FOR AN eBOOK GIVEAWAY. TWO WINNERS MAY CHOOSE FROM ANY OF THE FOUR TITLES LISTED ABOVE. THE GIVEAWAY WILL END AT MIDNIGHT EST ON FRIDAY, OCTOBER 23, 2015. PLEASE JOIN THE OTHER PARTICIPANTS IN THE BLOG HOP. I HAVE LISTED THOSE FOR TODAY AND THOSE FOR THE PREVIOUS THREE TUESDAYS. I LEFT THE ORIGINAL LINKS IN CASE SOME OF THE CONNECTIONS ARE BROKEN. 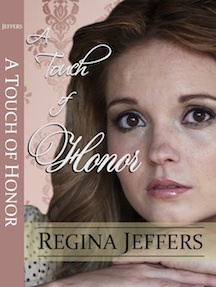 This entry was posted in Great Britain, heroines, Living in the Regency, Regency era, Uncategorized and tagged " A Touch of Cashémere, A Touch of Honor, A Touch of Scandal, A Touch of Velvet, Regency romances, Regina Jeffers, the Realm series. Bookmark the permalink.